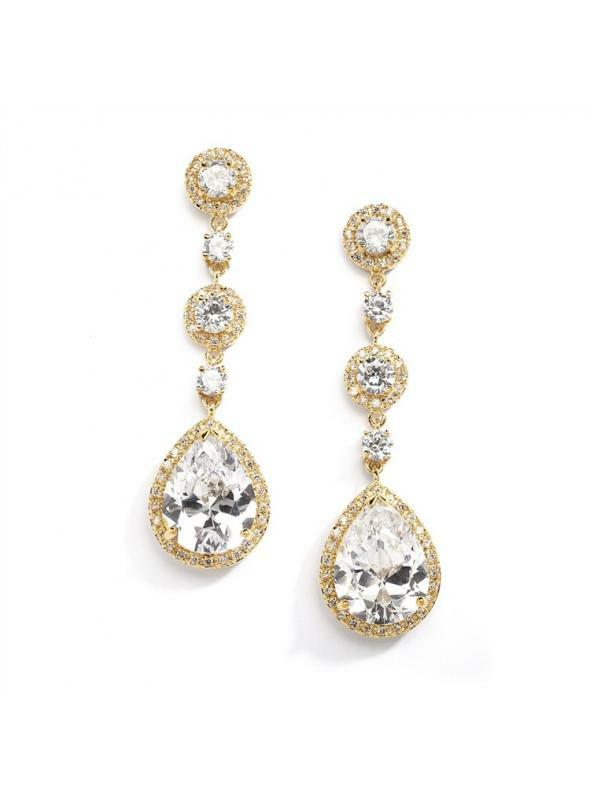 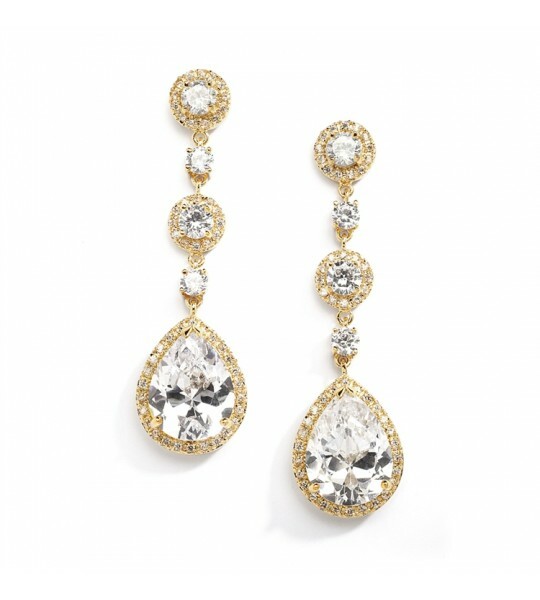 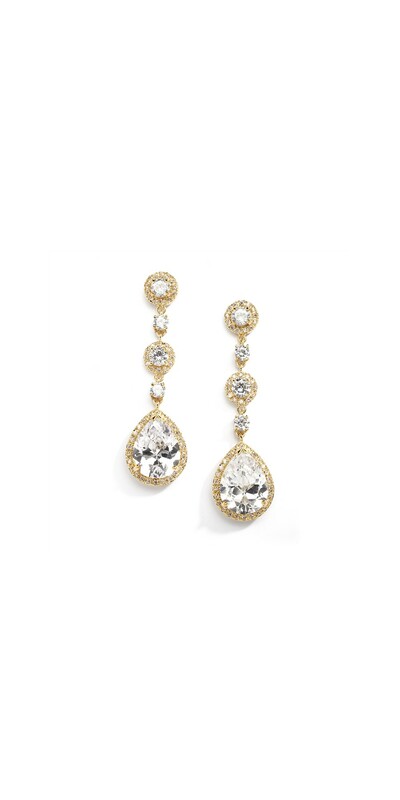 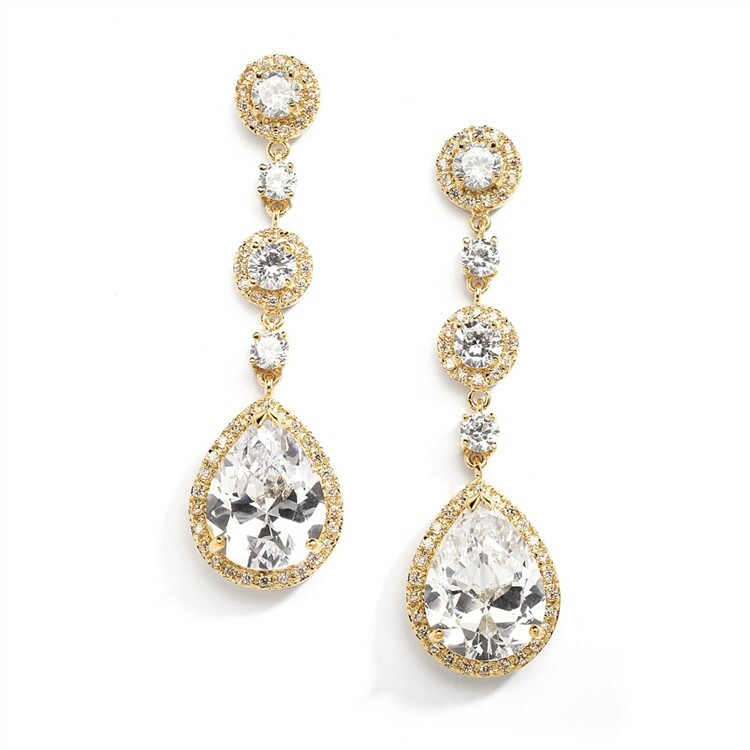 This beautiful pair of Cubic Zirconia clip on earrings feature pave framed rounds in pear-shaped drop and genuine gold plating which is a best-seing accessory for brides and second time around brides who want to accessorize their wedding gown with lovely gold jewelry. 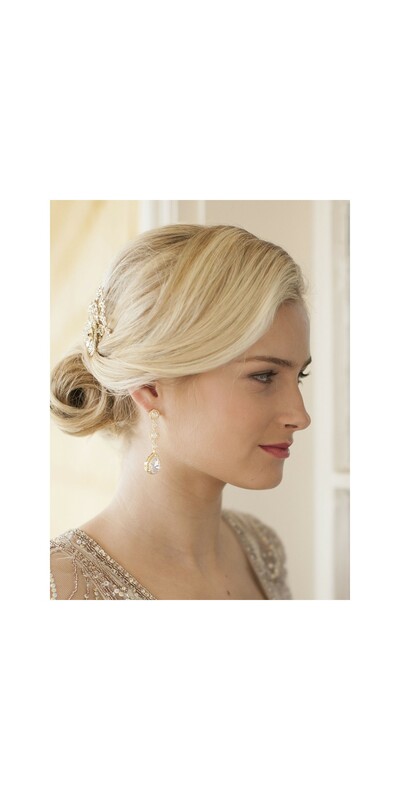 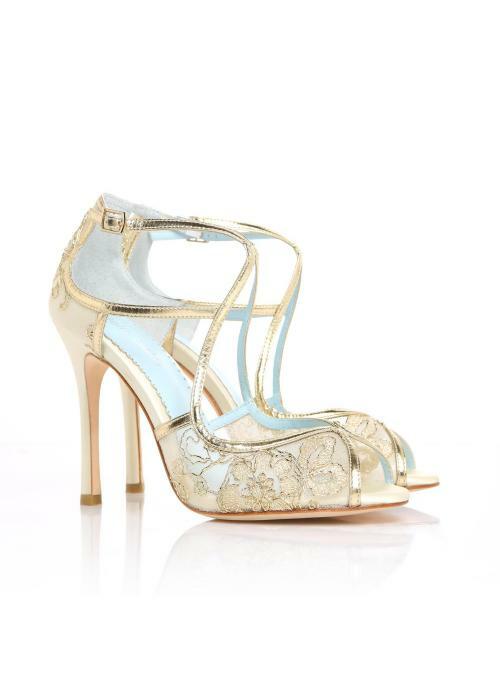 Combine it with one of our best-selling Titanic or Downton Abbey to create the perfect look. 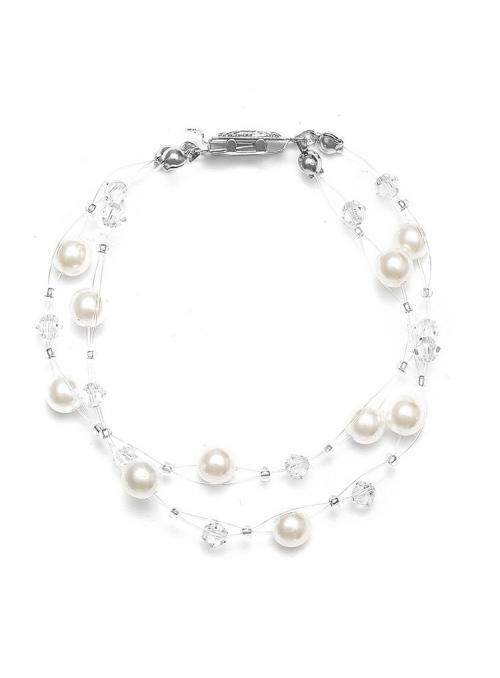 Also available in Pierced as style 400E-G with a matching necklace style 400N-G, sold separately.